Christmas ain't Christmas without the tree. But what if there's a lack of space cramping your holiday cheer? 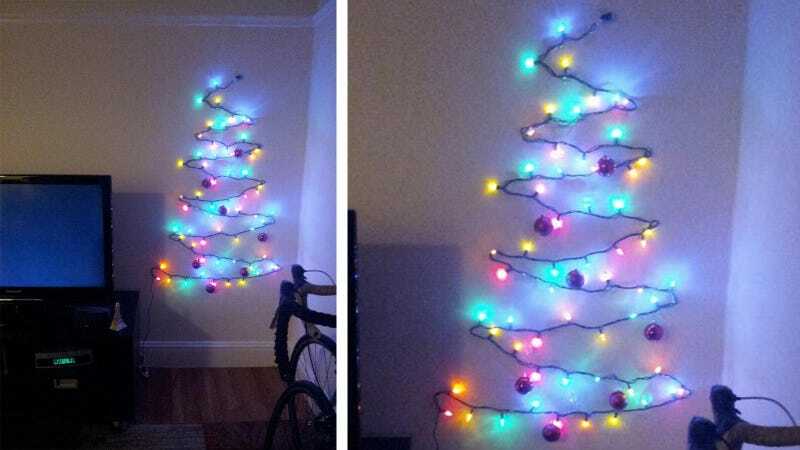 Fortunately for you and your elfin apartment, redditor MickolasJae had the ingenious idea to construct his own makeshift monument to Christmas with nothing more than a blank wall and some lights. The more indolent of hall-deckers might scoff, but if you've been wondering how to utilize minimum space with maximum cheer, your answer's right here.